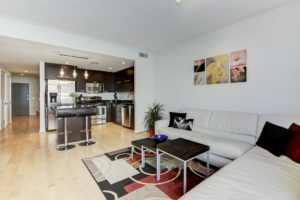 Less than a quarter mile from FOUR different metro stations, this one-bedroom condo on Massachusetts Ave is the PERFECT place for someone who wants to be in the middle of everything DC has to offer! 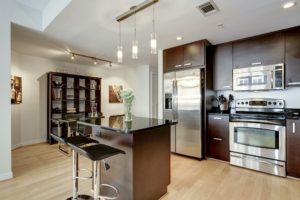 And with the high-end stainless steel appliances in the kitchen, an oh-so-rare designated dining space for entertaining, huge living room, sunny bedroom, huge closets, and a luxury bathroom, you’ll never want to leave! 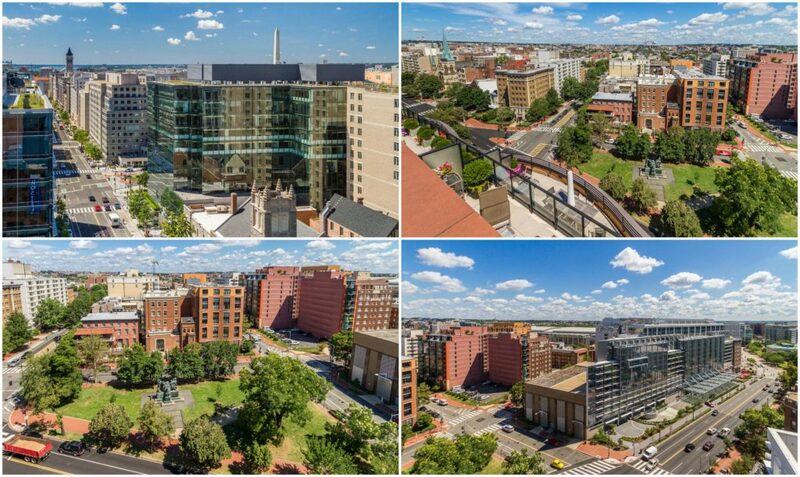 Right on the corner of Mass and 11th St. NW, you’re just blocks from CityCenter, Chinatown, Shaw, Logan Circle, and even Dupont Circle. 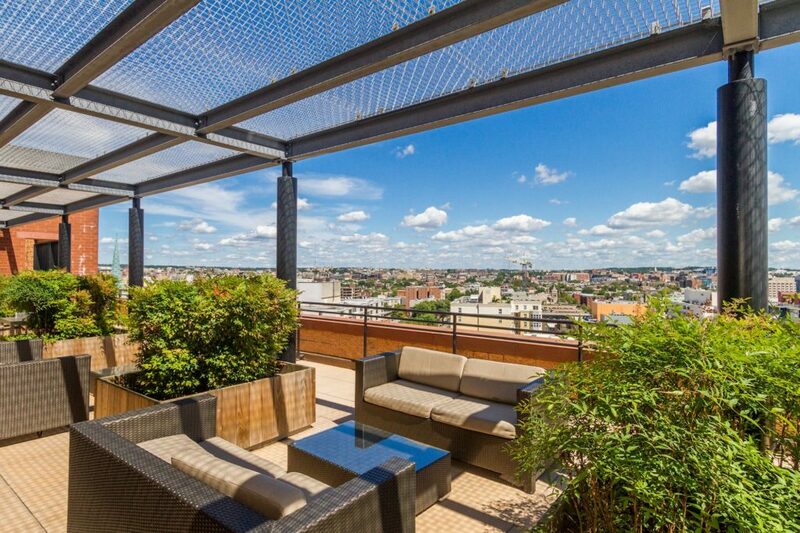 The location can’t get better than this! 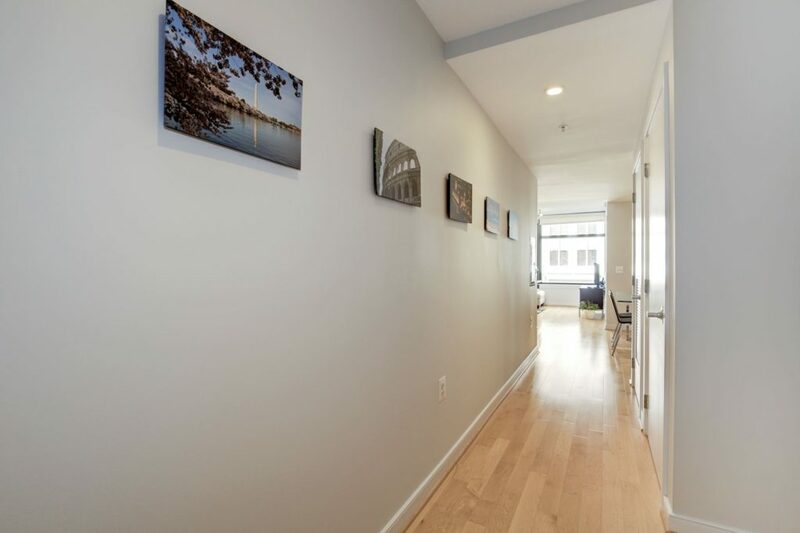 Walking through the front door the first thing you’ll notice is the hardwood floors throughout, and the gallery wall, perfect for showing off your favorite art pieces! 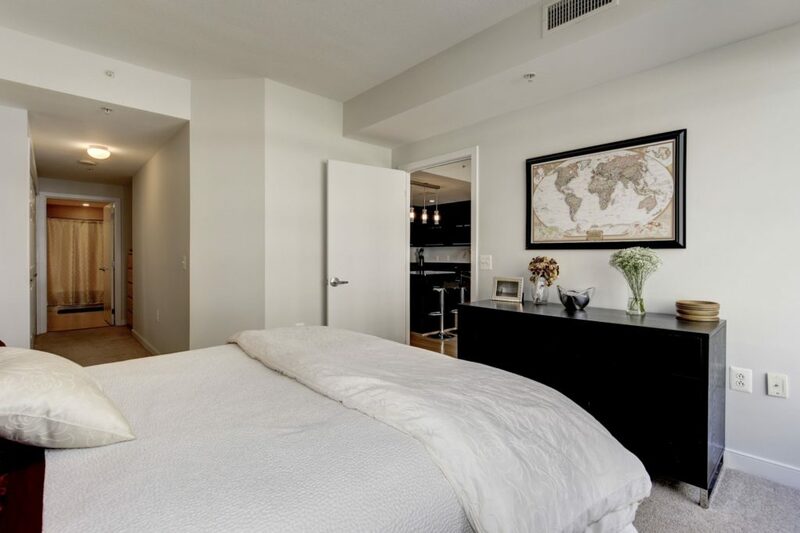 Check out that bright light streaming in from the huge windows into the open living space. 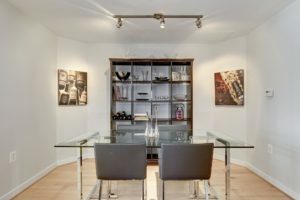 To the right is an oh-so-rare dedicated dining space that can fit a 6-foot long dining table, you’ll be ready to host dinner parties – or Sunday brunch! 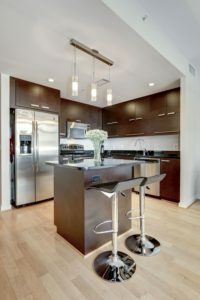 And the kitchen is right beside the dining room, so you’ll be able to entertain guests while you whip up something amazing for dinner. 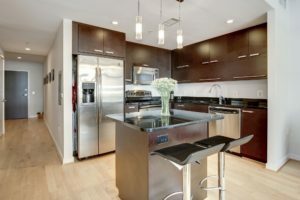 With its espresso cabinets and granite countertops, this kitchen is to die for! 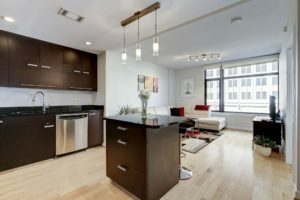 With plenty of counter and storage space, stainless steel appliances, and a breakfast bar, you’ll have no problem showing off your culinary creativity! 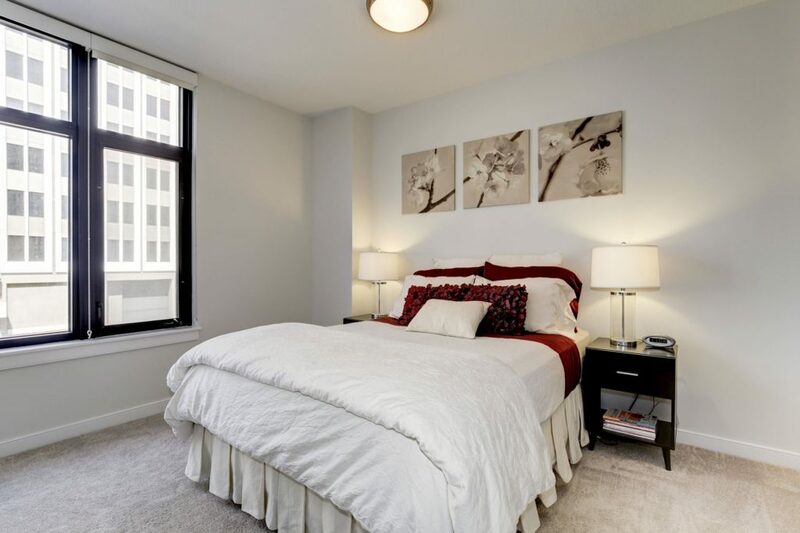 Your bedroom offers another one of those oversized windows to bring in lots of light. Shoe addict? No problem! 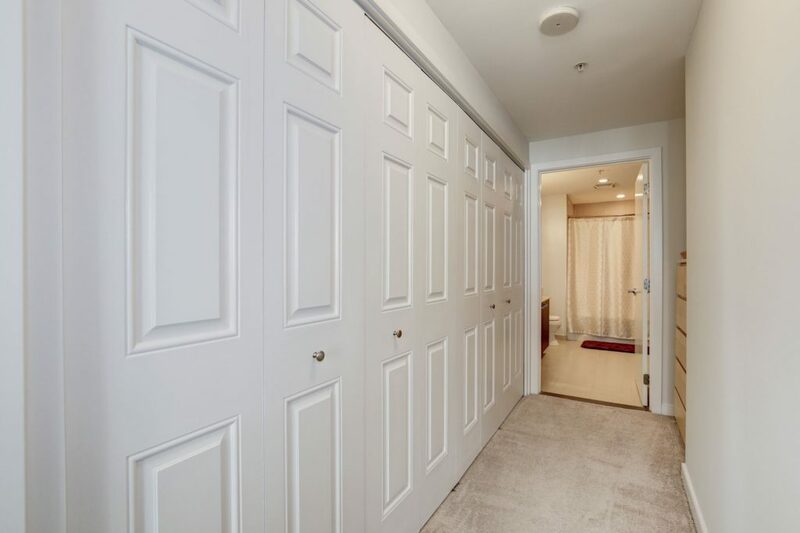 The hallway leading to the bathroom has functional storage closets, so you’ll always have room for shopping sprees! 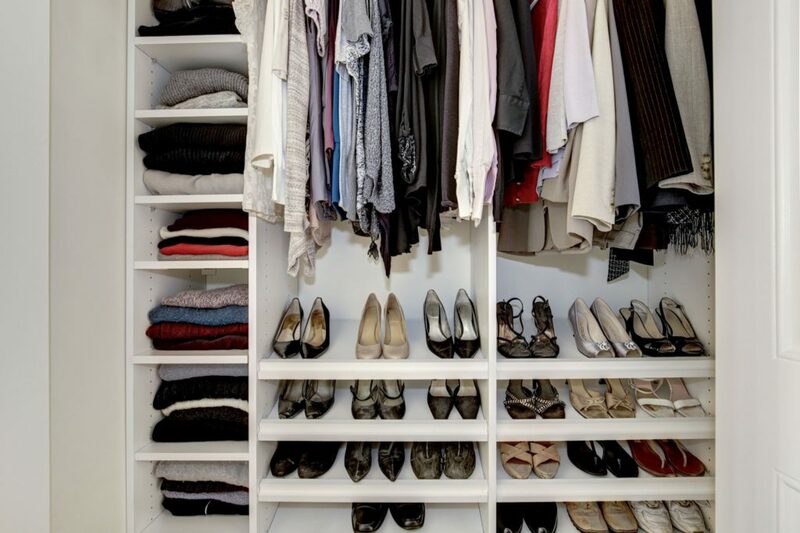 The closet system ensures you’ll never run out of space for all of your clothes. 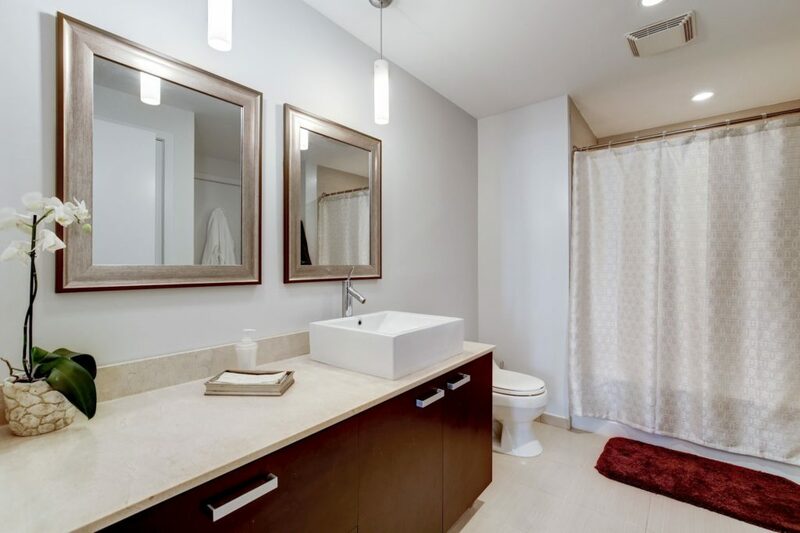 The bathroom comes with an oversized tub and lots of storage space, perfect for getting ready for work in the morning or for a night out on the town! And check out the views! You can even see the 4th of July Fireworks from this building! 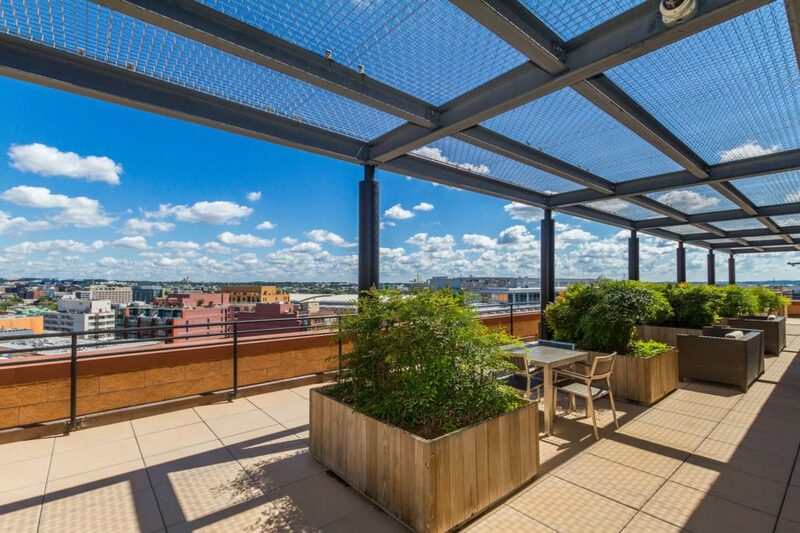 You’ll be the envy of all your friends when you host parties on this picturesque rooftop. 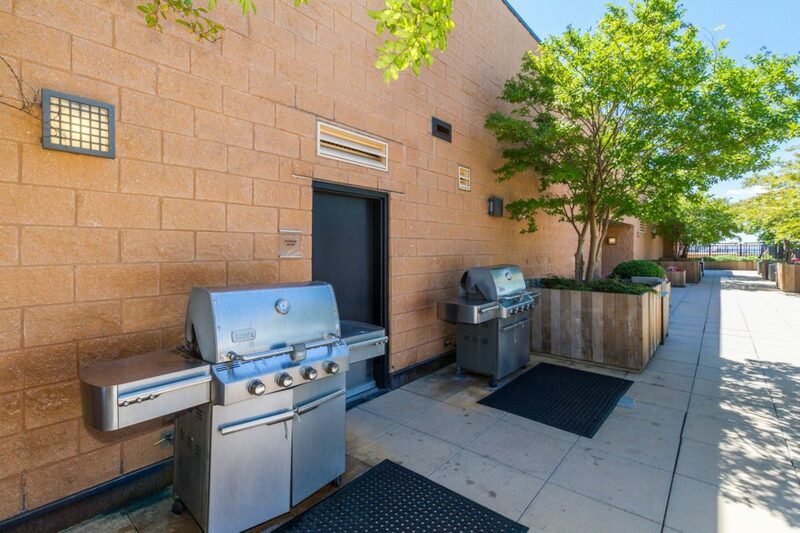 Grillmasters can whip up burgers and steaks with ease! 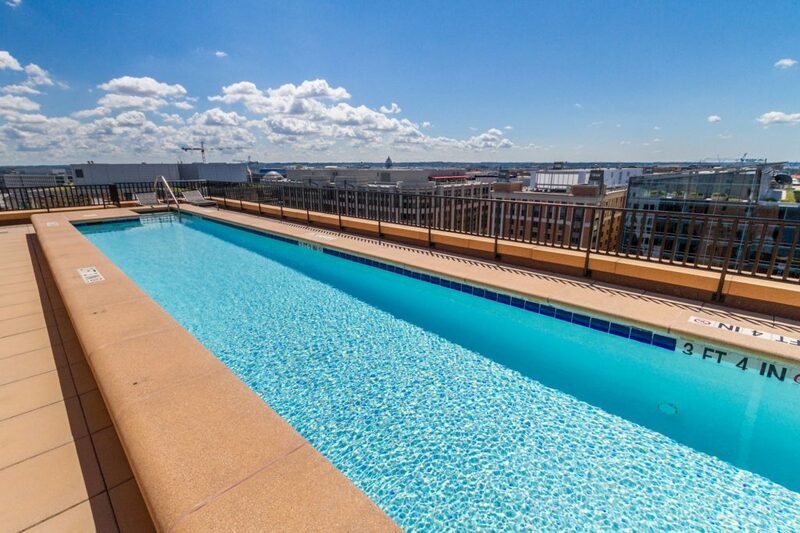 The best part – a rooftop pool! 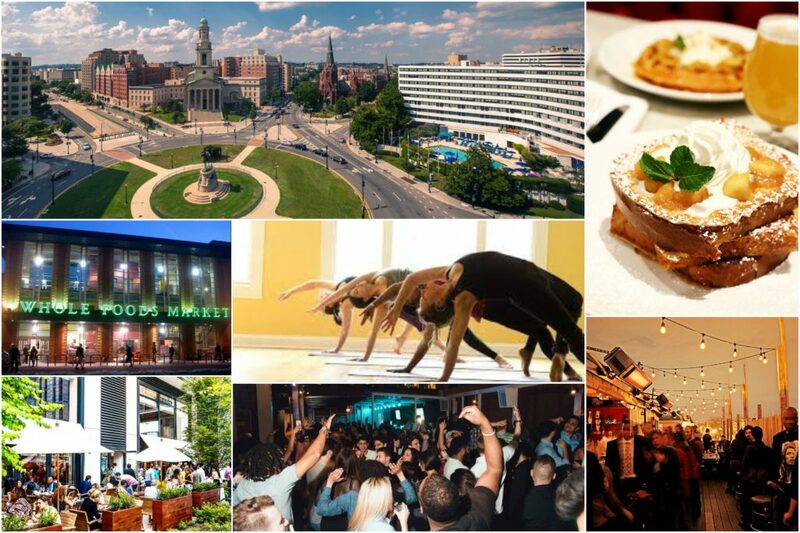 You’ll be able to get a fantastic tan and enjoy the DC weather all summer long! 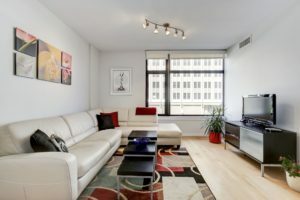 Did we mention this condo’s PERFECT location? Look how close it is to Mt. 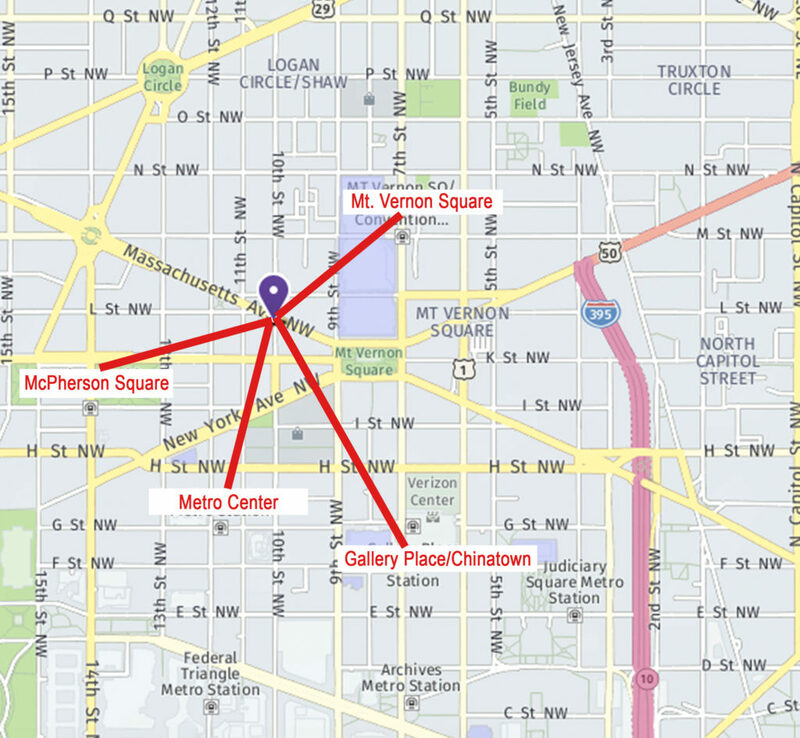 Vernon Square, McPherson, Metro Center, and Gallery Place! 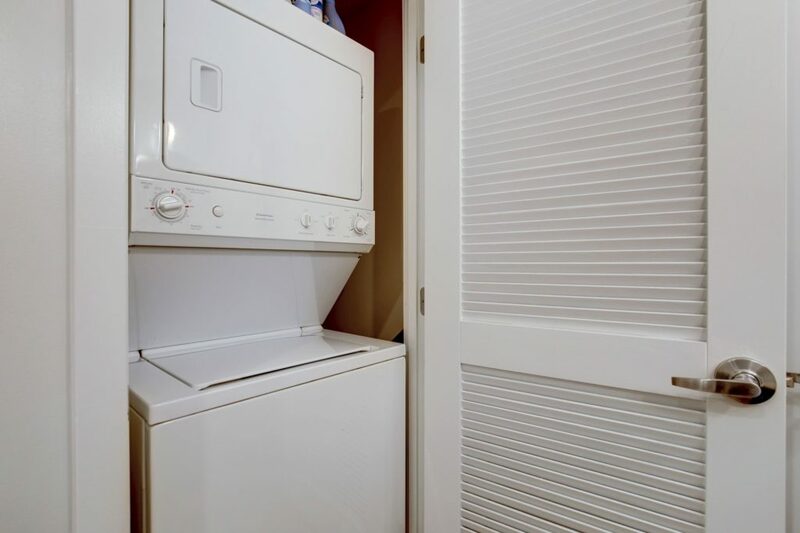 Living here means you’ll never have “Fear Of Missing Out” (F.O.M.O) because you’re right in the middle of it all! 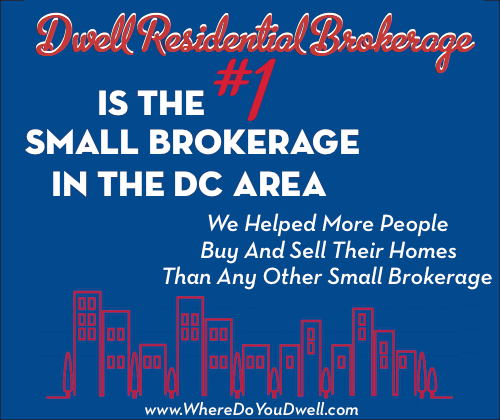 Right in the center of downtown DC, you’ll be the envy of all your friends! 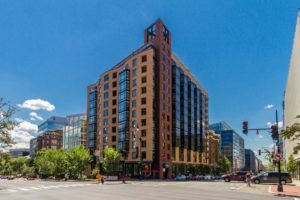 There are dozens of restaurants, bars, and shops to keep you busy, plus a Whole Foods, Giant, Safeway and Trader Joe’s just a few blocks away for groceries.